In the desert at twilight, as the heat slowly dissipates, the sky turns cobalt blue and stars peak over canyon walls, I think about lone prospectors who spent years of their lives looking for that one big mining strike that would make them rich. Few ever found that ledge of gold or silver. Most spent years with pick and pan on the edges of mountains, beneath canyon rims. One prospector and mine promoter epitomizes them all. Cass Hite, born in Illinois in 1845, died in Glen Canyon, Utah, in 1914, having traveled the West on the lookout for pay dirt but willing to take profits from the financial backing of others. “Cass Hite seems to have been a strong believer in the rule that it is easier to mine gold out of an investor’s pocket than it is out of the ground,” said historian C. Gregory Crampton, (p. 122). Yet Hite was more than that – quick tempered, well-muscled, gracious to travelers, a dedicated bachelor and Democrat, and a superb shot whose Colt. 45 pistol killed a man. A jury convicted Hite of murder. Sentenced to 12 years hard labor in prison, Utah’s governor pardoned him. At the turn of the 20th century, probably no one knew the canyons of Southeast Utah and mining prospects in that state better than Hite. He was going to write a book titled The Life of an Old Prospector. Instead, he wrote an ambling epic biographical poem. The gold he found was not in a hard rock vein high on a mountain rim instead, Hite located placer claims along the Colorado River in Glen Canyon. He sought the fine flour gold found in sand and cobble bars deposited over millennia as the riches of the San Juans tumbled down creeks, streams and rivers over thousands of years. He mined flour gold too thin to make much profit but enough to keep a prospector in tobacco, flour, bacon and whiskey. Now, historian James H. Knipmeyer has mined the flour gold of Cass Hite’s life to produce a detailed, careful biography that shows the breadth of Hite’s career, including letters he wrote to Durango, Denver and Salt Lake City newspapers. Reporters followed him and eagerly awaited his judgment on Utah mining prospects from the sandbars in Glen Canyon to the high Uintah Mountains, from the Henry Mountains near Hanksville to Spanish Fork Canyon and deposits of asphaltum, Hite was everywhere. He looked for Navajo headman Hoskannini’s famous silver mine in Monument Valley in 1883 and earned the Navajo name Hosteen Pish-la-ki. He lived long enough to see Emery and Ellsworth Kolb boat down the Colorado in 1911 making the first film of river running in Grand Canyon. 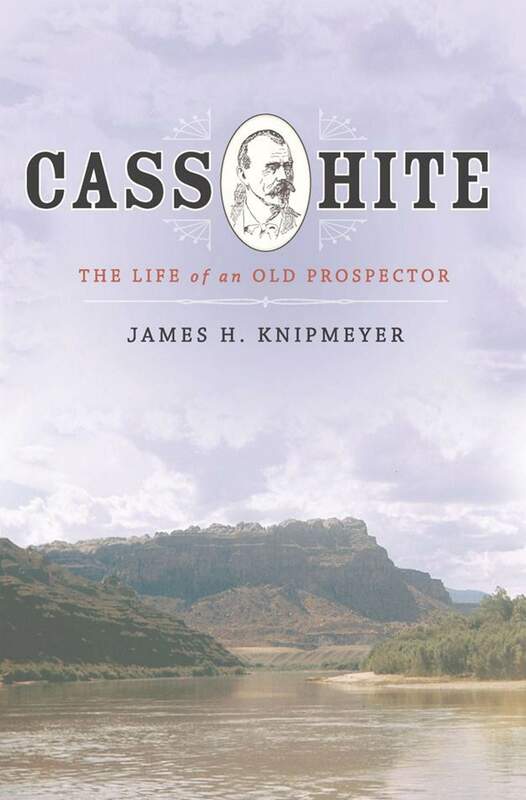 In his half century of prospecting Hite covered a lot of ground and biographer Knipmeyer has done a superb job weaving the threads of Cass Hite’s life into a well-researched biography valuable to all scholars and students of the Southwest. From inscriptions Hite chiseled on sandstone boulders to photographs of locations where Hite prospected, Knipmeyer assembles the details of Hite’s life from dozens of primary sources, newspaper accounts, diaries, letters, river journals, lawsuits and court proceedings. Hite emerges as a complicated man who may have salted a mine or two by depositing rich ore from another source. He may have occasionally stolen a horse and his deadly accuracy with a revolver could have come from a specially constructed swivel holster allowing him to shoot without “clearing leather,” yet he always fed strangers. No one questioned his loyalty. Another prospector wrote about Hite, “The latch-string of his cabin was always out to the worthy prospector, and no worthy man ever went hungry from his door. His word is his bond to all men that have an intimate acquaintance with him” (p. 133). Only a devoted desert rat like Knipmeyer, who knows the Colorado Plateau like the back of his hand, could have had the dedication to write this definitive biography. Cass Hite would have been proud. He’s buried in Tickaboo Canyon under hundreds of feet of Lake Powell water, but Knipmeyer’s successfully uncovered Hite’s singular life. Available to order at Maria’s Bookshop.